Even though it is heresy to most people, my family and I put up our Christmas tree this past Monday. This is one of my favorite times. The kids help decorate and my son ran around screaming about how excited he was. Then my wife and I put the kids to bed, drink cider and watch Christmas Vacation. I think Christmas Vacation is one of the all time great comedies. I have seen it a hundred times. I could quote every line. But we watch it every year. I love this tradition. The movie never gets old to me. And with each Christmas, I create new memories to accompany the movie. In this tradition we begin our anticipation of Christmas, we enjoy the laughter in the present, and we are reminded of the good times connected with the tradition in the past. This is the power of repeating a tradition. And it is the power of celebrating another Advent. I went back to look at last year’s Advent posts and asked the question: Do I have anything new to say? But walked away with the question: Do I need anything new to say? 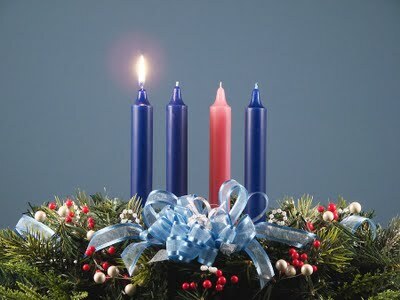 Advent marks the beginning of the liturgical year. We are another year older, have another year of experiences under our belt and have traveled through the depths of Lent, the joys of Easter and the Ordinary-ness of the last few months. And we return again to these four things: Hope, Peace, Joy and Love. We revisit them because we need it. We need these reminders over and over again. But we bring with us a whole new set of experiences. We are reminded this week of what we learned about hope in the past, places it carried us through over the last year, and anticipate the new directions it may take us over the next 12 months. So as we begin this season, remember we have been here before. Remember there is a fresh word here and now. And remember we will be here again. Specifically this week begin to ask yourself: What do I hope for? Where do I place my hope? Am I moving towards those things in my life? What gave me hope this past year? Where did I misplace hope this past year? What do I hope for this Advent season? And why does Jesus being in the world bring hope? The word that Isaiah son of Amoz saw concerning Judah and Jerusalem. In days to come the mountain of the Lord’s house shall be established as the highest of the mountains, and shall be raised above the hills; all the nations shall stream to it. Many peoples shall come and say, “Come, let us go up to the mountain of the Lord, to the house of the God of Jacob; that he may teach us his ways and that we may walk in his paths.” For out of Zion shall go forth instruction, and the word of the Lord from Jerusalem. He shall judge between the nations, and shall arbitrate for many peoples; they shall beat their swords into plowshares, and their spears into pruning hooks; nation shall not lift up sword against nation, neither shall they learn war any more. 5 O house of Jacob, come, let us walk in the light of the Lord! Which you bring along as well celebrate your presence in the World. And we ask this all through Jesus. This entry was posted in Advent and tagged Hope, Liturgical Year. Bookmark the permalink.